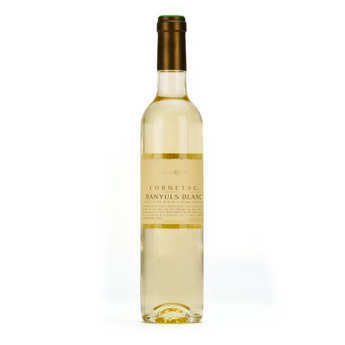 White Banyuls is an attractive natural semi-dry sweet wine, smooth and flowery. It is best served chilled. Try it with strongly flavoured cheese, foie gras or as a pudding wine. Serve it at about 8° to 10°C. White Banyuls. Alc. 16,5 % vol. Contains sulfites.